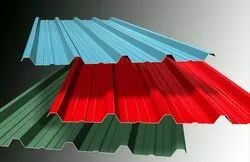 Prominent & Leading Manufacturer from Pune, we offer standing seam sheets, colour coated profiled sheets, colour coated roofing sheet, colour coated sheet, jsw metal roofing sheets and gi roofing sheets. We are able to offer Standing Seam profiled sheets to our valuable customers. We have established ourselves as a renowned industry in offering Colour Coated Profiled Sheets. These products are manufactured using top quality raw material and machinery. 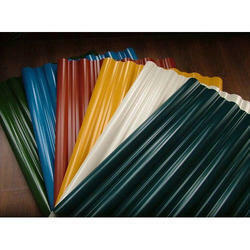 We are able to offer Colour Coated Roofing Sheet to our valuable customers. We offer Colour Coated Sheet to our clients. These products are manufactured using top quality raw material and machinery. 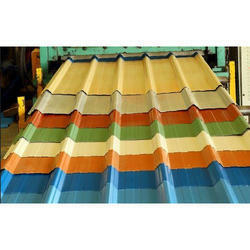 We are the leading and prominent Manufacturer and Exporter of JSW Metal Roofing Sheets. 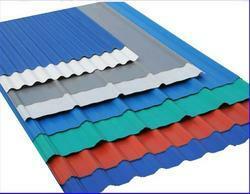 We are the leading and prominent Manufacturer and Exporter of GI Roofing sheets. We are able to provide high quality roofing sheets of PPGI and PPGL. In PPGI we mainly deal with Essar and Asian. For PPGL we mainly do Bhushan and JSW.